Even though the talk isn't as strong as it was years ago, I want D1 hockey at UB. Its tough for all the reasons we have posted here over the years. Especially with so many resources and focus on Football/basketball. But the ceiling for our school/brand to be successful is there, far greater than Canisius and NU, and we have the geographical advantage. Arizona State move their team up and even made the tournament this year. Pegula single handed made Penn St D1 and they were successful very quick. 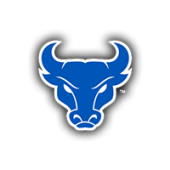 His name came up recently with the basketball coaching, but Tunny Murchie has always been one of the biggest UB athletics donors over the years. He also played hockey for UB back when it was D1. I feel like without question is the most likely person to spearhead funding for UBs D1 hockey team if or honestly when it comes about. Why would there be? They honestly don't interest me a lot although its interesting to see them make it to the final. I was actually rooting for Minn-Duluth (Derek Plantes old team) and was able to catch that game today. What are my chances to see the BB arena on Sunday. Staying at the courtyard as did in 2013 for our football game. Anyhow, did watch you guys some in the dance. Arena is open on Sunday. I'm kinda indifferent on who to root for in the finals, to be honest.